A graveyard can be a lonely place any time of the year. 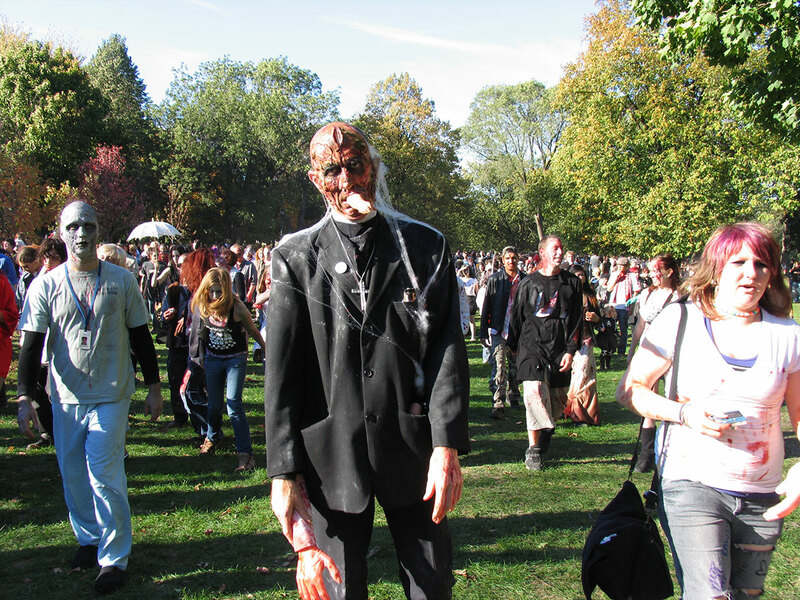 But for one afternoon every October, Toronto’s graveyards are lonelier than usual, when hundreds of corpses rise and take to the streets for the city’s annual Zombie Walk. 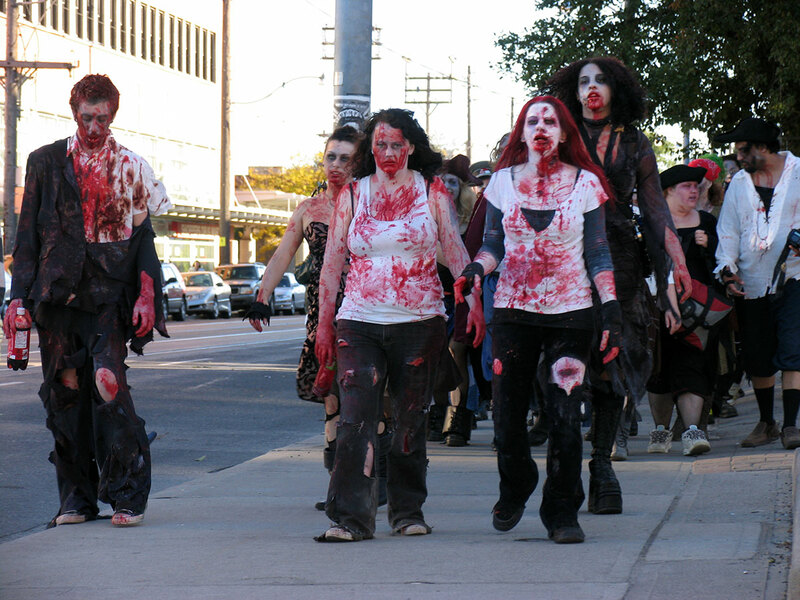 Actually, the zombies take more to the sidewalks than the streets, moving in a slow yet orderly fashion along a predetermined route. 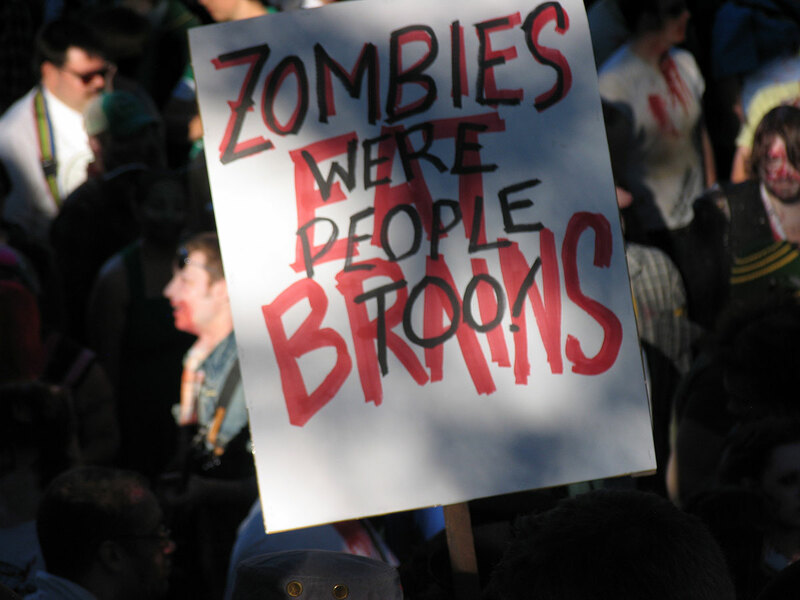 And most aren’t even real zombies, but members of the living who enjoy masquerading as the undead. 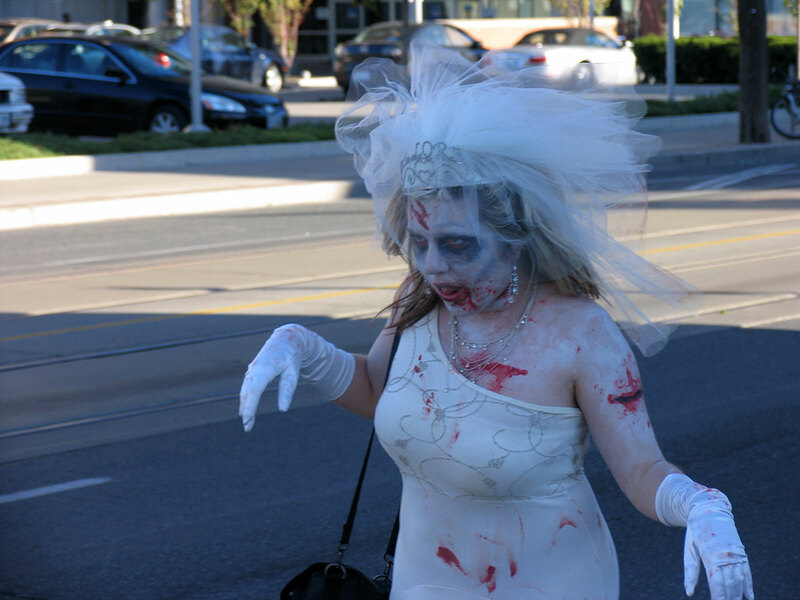 Thea Munster founded the Toronto Zombie Walk in 2003 as a way to meet others who shared her interests in the films of George A. Romero and classic monster lore. 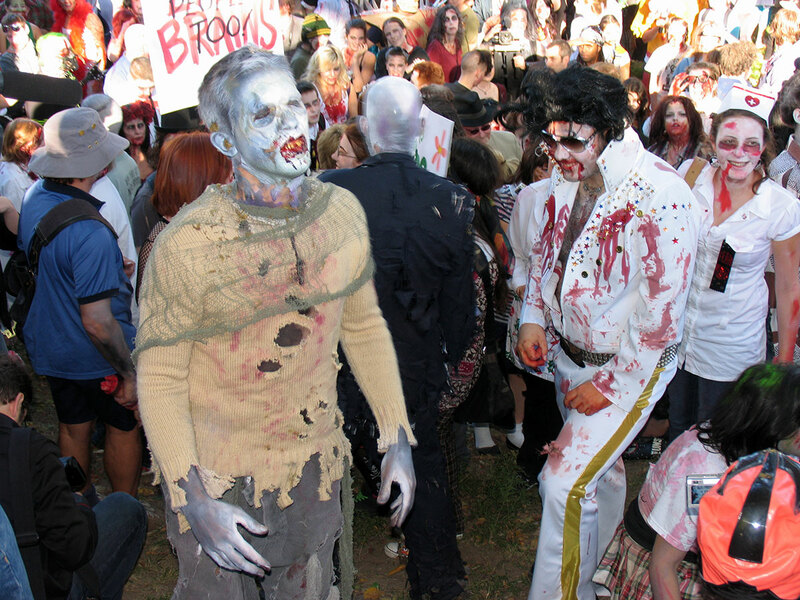 The first Zombie Walk consisted of only seven zombies, but last year’s edition drew about a thousand, and Munster expects an even higher number for the 2008 walk. 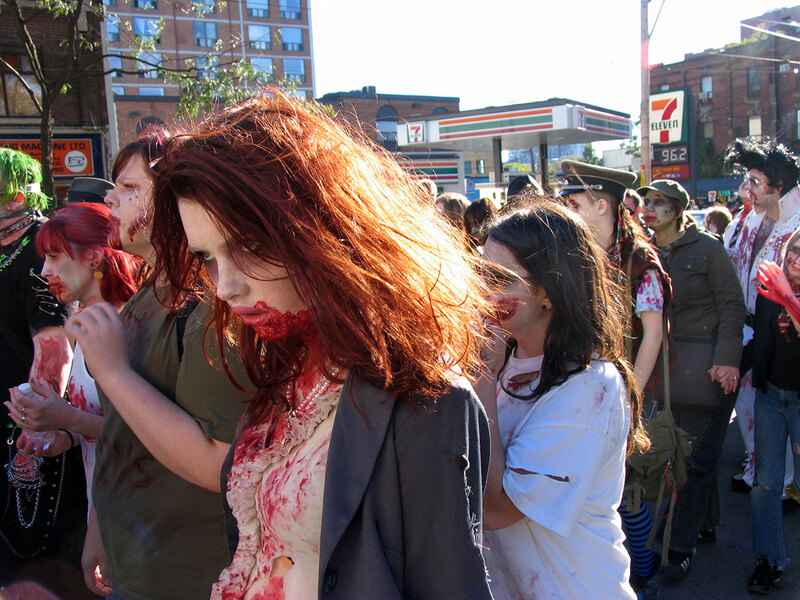 The Toronto event has also inspired zombies in other cities, with sister versions now taking place in New York, Vancouver, Ottawa, and Melbourne. 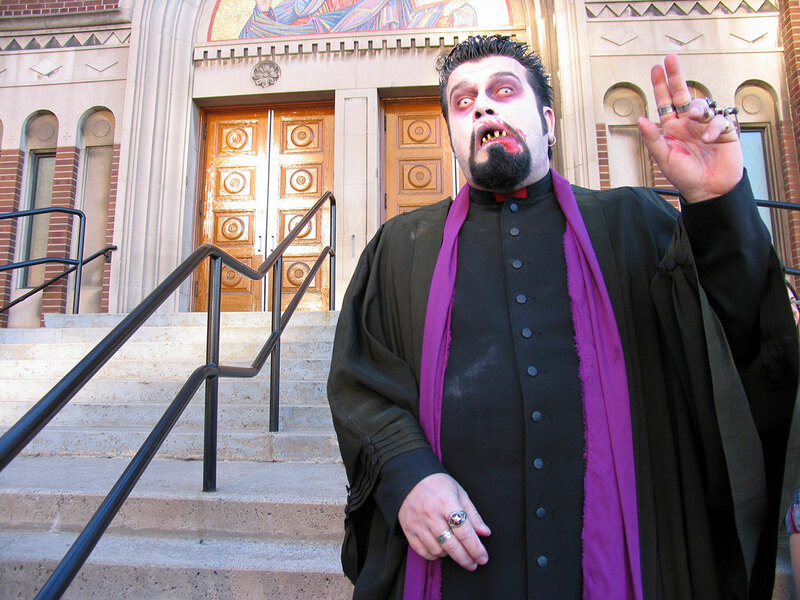 Munster has befriended many of the Zombie Walk participants over the years, some of whom return on an annual basis. And despite the financial headaches and the long hours of preparation, she still feels the end result is worth the effort.